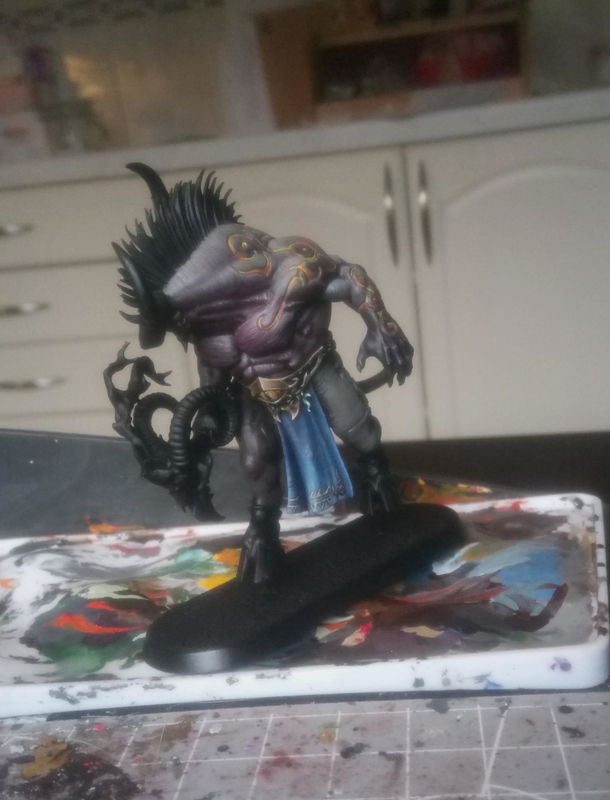 started the nmm on the thingy holding his loincloth up. added an eye to the centre of it.... also shaded the blue a bit and added some threadstructure to it. This is going to be tough for me.... Just finished priming mine. Yours looks really nice allready! thanks, i saw yours and im not counting you out at all, i started as early as i could just to get that jumpstart. now im slowing down though, remains to be seen who is deemed worthy by the crowd, i think it will be an even race.